So here’s something that’s worth writing about. You know how I have been going on and on about JV giveaways as a great way to build your list? Well, since this year started there hasn’t been much going on worth mentioning. Well that has finally changed. I don’t know why all the major JV giveaways seems to revolve around holidays. I may not have been paying attention like I should have but I didn’t notice a single St. Patrick’s Day giveaway. Maybe I will keep that in mind for next year. Well, the next big holiday on my calendar is Easter and along with that comes the “Easter JV Giveaway“. Now I was pretty oblivious to these JV giveaway events last year but from what I am told the Easter JV giveaway is normally one of the biggest events of the year. Since joining yesterday it looks to be true. This year the Easter JV Giveaway is being run by Guido Nussbaum who has proven himself to be one of the best at driving new sign-ups to these events. That means more fresh eyeballs on your page and more sign-ups to your list. The Easter JV Giveaway officially launches on April 7th but you can sign-up now as a contributor. I have already picked up a dozen new subscribers since yesterday and we are more than 2 weeks away from launching. Don’t snooze on this one. These events only come around a few times a year and you will be kicking yourself later if you don’t take advantage of this now. It’s 100% free to join but there are some upgrade offers available when your first sign-up. 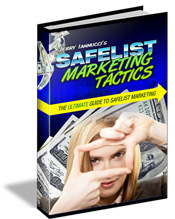 If you want to put your list building into overdrive you upgrade like I did. From my experience, the upgrades are worth every penny. To sign-up as a contributor to the Easter JV Giveaway click the image below. What? Oh yeah, apparently I still have a blog. Sorry. I’ve slacked off pretty hard on updates. I had a good run for awhile but offline responsiblities have been taking up most of my time. I want to at least keep these monthly stats coming to you but last month I missed recording them and one of the only major flaws with my tracker is the inability to pull stats from specific date ranges. As usual, these stats are from my own efforts promoting a lead capture page for my ebook “Traffic Success Formula”. Obviously, your results may not be the same as mine. Ok, I probably spent less than an hour actually surfing traffic exchanges last month so those results are actually much better than I would have expected. Nice to know I can take some time off and still get residual traffic and sign-ups from the work I did a few months ago. I may not have had time to surf the traffic exchanges but I did a good job up keeping up with my daily safelist mailings. ListJoe is at the top of the list as always but I was surprised to see relatively smaller safelists like Elite Safelist and Newage Safelist performing so well. I have virtually killed off using all of my text ad exchanges. 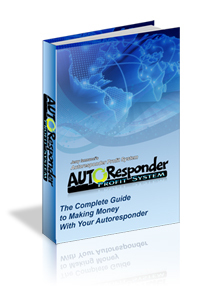 Traffic Swarm has always been a winner but if you are looking to try one of the many text ad exchanges out there then Maximum Profits is worth a shot giving me 7 verified sign-ups last month. There haven’t been many giveaway events lately that have been worth joining. Obviously Daddy’s Birthday Giveaway was a winner but I think the doors are closing on that one tomorrow and so far I don’t have a replacement. If you grab a free copy of my ebook top of the page I will be sure to send you an update when the next hot new jv giveaway event launches which, in my opinion, is one of the easiest and fastest ways to get sign-ups while doing the least amount of work. Ok, that about covers it for this month. I’ll try to post more often when I have the time and content worth sharing. If you have any comments or suggestions please feel free to post them below.